Mid-Level Road Wheel - Handbuilt by our Master wheelbuilder with DT PG 293mm & DB 295/296mm stainless spokes. 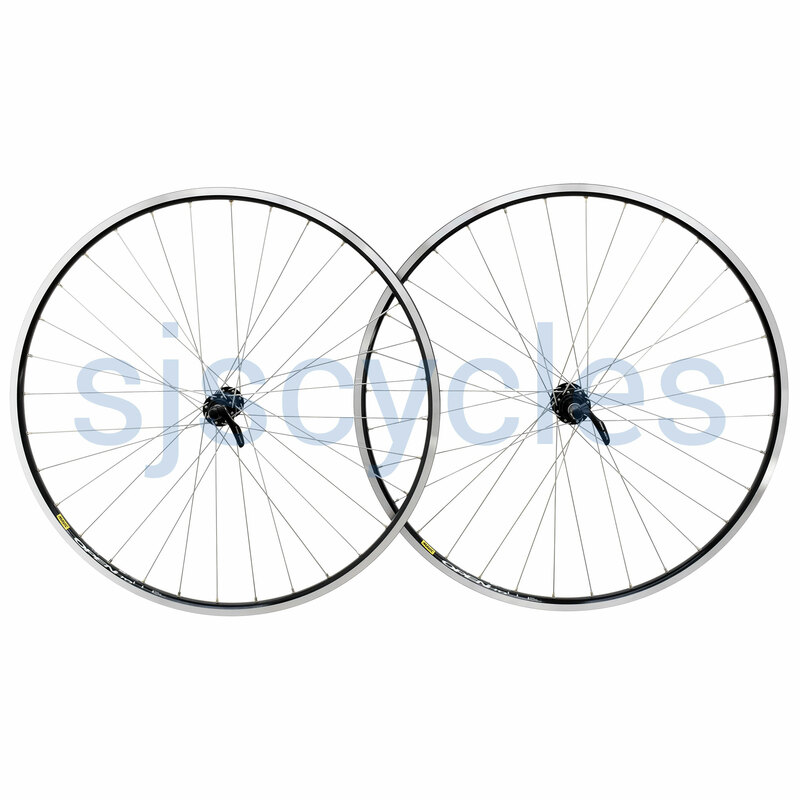 Note: This wheelset is not supplied with rim tape, please see the related products section for suitable options. Very happy with these wheels. I've not used them much yet, just one 30 mile ride so far. They look and feel quite robust which is what I wanted, built well with good, consistent spoke tension. Just bought set of these wheels. Which rim tape would be suitable for them. Can I fit a 8 speed, Claris casset on this hub? Yes, you will just need to space out the cassette. CN you build theese with Ultegra hubs? Simply add the hubs/rims/spokes+labour to your basket and checkout! We will custom build the wheels and post them out. Please speak to our sales team if you need any help with your order! Could You Do This With Disc Brake- Compatible Hubs? Hi, Yes we can, this would be a custom wheel build. Our sales team can give you advice with regard to which hubs and the price. You can contact them by phone on 01278 441500 or email sales@sjscycles.com. Thanks.